When it comes to backlink acquisition, the resourceful Internet marketer has many options available to him. Unfortunately however, not all options are worthwhile. In fact, some of them can be downright harmful. Should you be looking to climb the SERPs, there is a wrong way and a right way to go about building backlinks. And when you go the wrong way, you run the risk of sending your site careening in the wrong direction too. 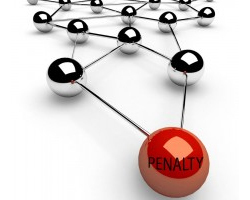 Here are seven backlinking mistakes that are known to lead to Google penalties. Whether or not Google penalizes sites for acquiring backlinks too fast has long been a hotly debated topic. Some insist that backlinking campaigns that lack patience will always incur a penalty. Others argue that because it is theoretically possible for a new site to attract hundreds of backlinks in its first few weeks, Google is not going to penalize a site for doing so. Personally, my money is always going to be on slow and steady backlink building. 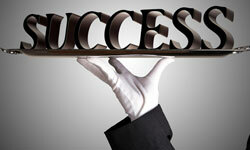 There are many easy ways to acquire large amounts of spam backlinks. Unfortunately however, though their numbers are usually impressive, their results rarely follow suit. Don’t purchase a thousand backlinks for five dollars on fiverr.com. Don’t build a thousand backlinks in five minutes with automation software. Spam backlinks have been around right from the beginning and Google hasn’t been falling for them for quite some time now. Another dead giveaway that you’ve been attempting to manipulate the search rankings is forgetting to include different anchor text in the backlinks that you build. After all, naturally built backlinks are never going to all include identical anchor text. Though you probably can get away with including the same keywords repeatedly, you do need to change how they are included. There are many sites online that you simply do not want to be associated with. When you build backlinks on such sites you run the risk of being penalized. 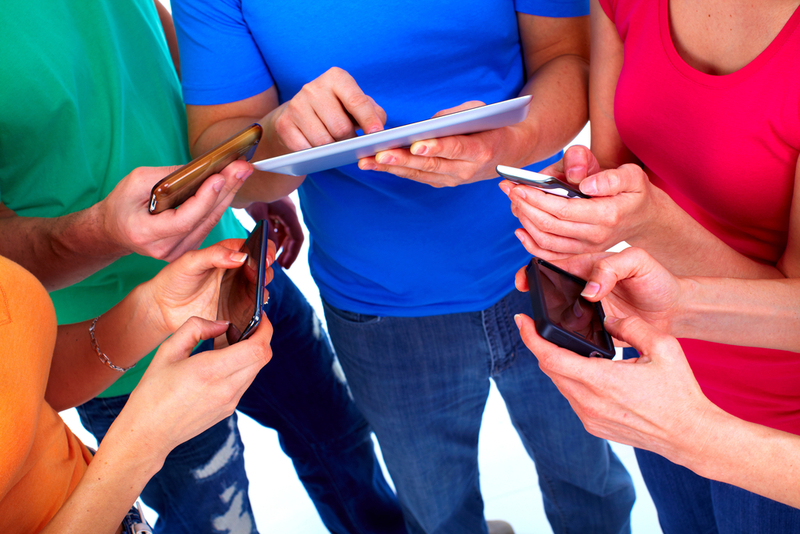 Avoid building backlinks on sites that are related to adult content or gambling. Avoid building backlinks on sites that have a lot of spam .i.e. high page rank blogs with no comment moderation. Avoid building backlinks on sites that have themselves been penalized or are likely to be. The likes of buildmyrank.com recently hit the Internet marketing headlines for all the wrong reasons. Their many apparently reputable blogs were recently sent careening to the back of the search results. Joining blog networks is now known to be a very effective way of getting your site penalized. Though there are many blog networks still operating, it really is only a matter of time before they suffer a similar fate. If you own an English language website, you need to limit your backlink building activities to sites that are written in English. It is simply not natural for a website to link to sites that are written in a different language. It also happens to be one of the easiest types of SERP manipulation for bots to pick up on. Finally, don’t forget that even if you focus exclusively on high quality backlinks, you can still find yourself penalized. When a sites backlinks have been acquired naturally, they tend to come from a variety of different sources. This means that they will include both dofollow and nofollow backlinks and they will come from both high and low page rank websites. Therefore don’t forget to mix things up a little when backlink building. The odd nofollow “pointless” backlink is actually a good thing. Peter writes web design articles and works in an seo company. He regularly contributes articles on web desigining and SEO companies in CT.
A mistake that many marketers may have done is to use anchor texts that do not vary enough. As you explained it does not look natural to have a 50% (for example) of ones anchor texts be the main keyword. In my opinion, when other people link to a website it is unlikely that they will all be using the exact keyword the webmaster wants to rank for. I wish more people would read articles like this. Too often I see people paying $5 for a tonne of spam backlinks which sure, in the short term may help build traffic, but in the long term will harm their blog or website. Nothing will replace quality manual backlinking with interesting relevant sites. It takes a lot of time but in the end it is always worth it. What Matti said: “there’s no magical formula to get money quick.” It’s the kind of attitude that the main reason of your website or blog is to make money that causes these kinds of penalties. The reason for any website or blog is to pass on quality information or a worthwhile product or service or entertainment. If you keep that in mind, and provide those things, all the lovely natural links will happen without courting other webmasters. I’m glad Google changes its methods to help maintain quality online, even if it messes with my SERPs at times. I think the biggest thing that people will have trouble with, particularly in light of recent updates, is having massively over optimised anchor text. You absolutely must vary your anchor text, don’t always go for a keyword, throw in the odd “click here”, “my website” or “www.yoursite.com” to mix things up. Hm, interesting stuff. I never really knew there would be so many ways to be penalised. Spam and adult content are no-brainers, but things like sticking to high quality backlinks and the speed of acquisition aren’t quite so obvious. Thanks for this post. We’re glad you found it useful antistar! This means that SEO and internet marketing in general has to become a matter of patience and brick and mortar tasks in order to be succesful. There’s no magical formula to get money quick. Very much so! SEO takes a lot of work, patience and skill. The tips you offer in this article are very interesting. I haven’t much experience in the use of backlinks, but from what I read in these lines, I realized that is the focus of the question. I agree with the opinion of KennyK, lines above. I don’t know if the Internet is no place for patience, but it is a possibility we have to admit. In my case, I prefer to make sure the quality of each of the backlinks that are related to my page. In many cases this is impossible, but I try to be careful, especially with those sites which you refer in “Guilt by Association”. Great points Bloomatic! Relevance is everything! One relevant backlink outweighs 1000 garbage backlinks for sure! Can you please explain why the “nofollow backlink is actually a good thing? Nofollow backlinks still contribute to the value of a site’s rank. How? 1. Nofollow link with well chosen anchor text still can create link juice. 2. Commenting on a nofollow blog is still a good way to increase search engience rank for a certain term. 3. Insightful blog comments can always bring new human visitors. I’ve been reading about how they (Google) are working with external companies to get human evaluations of their SERPS for specific keyword phrases. I’m assuming they’re factoring this data more and more into their search results, in which case if a site appeared to be popular in terms of backlinks to it, but was never chosen as the best result for a given set of queries, they would stand out to Google pretty easily. This is good info as I am still new to backlinking. I’ve probably been guilty of building social bookmarking backlinks to fast. I also do some blog commenting with a mix of names and keywords. I do know that I built a squidoo lens in the relationship niche and doing the backlinking I described, got to result one, page one on google for my primary keyword (and a bunch of really long tails you’d never think of). I’m getting a couple hundred visitors a month and making a few Amazon and affiliate sales. Now I’m trying to repeat this with a different keyword and niche. We’ll see what happens. I really agree with your “Guilt by Association” post. You definitely don’t want to backlink to something that can inevitably bite you in the behind. A little research goes a very long way. Some important questions that I always ask when checking out a backlink would be: are the comments moderated; what sort of activity am I seeing (original content vs. generic/copied content); what sort of demographics am I seeing? If you’re seeing positive answers to those questions, I am typically more willing to proceed ahead; if I see any red-flags, I avoid at all costs. On forums I often see people who consider buying backlinks and doing other things to improve their ranking. They think in the short term, but in the long term, search engines get more sophisticated with their tools to find people who are manipulating things. Getting the links naturally takes longer but it’s worth it. One has to be careful choosing the sites that you want to get a link from. It can damage your own site if you pick the wrong ones.